Right now, we’re still in the dark about a lot of the specs and features on the upcoming BMW M3. We know a bit, like the fact that it will be built on BMW’s new CLAR platform and that it will be lighter and more powerful than the outgoing car. However, there are still a lot of unknowns, such as powertrain, transmission and chassis tech. Though, we’re starting to hear some whispers, as information slowly begins trickling out ahead of its 2020 release. One of the more interesting bits of info, according to Autocar, is that it will actually be lighter than the current BMW M3 CS. The M3 CS is the lightest, most dynamic and, plainly put, best version of the current BMW M3. The BMW M3 CS currently weighs in at 1585 kg (3,494 lbs), which isn’t exactly portly but isn’t exactly lightweight, either. So the fact that the next M3 will weigh less is encouraging. Especially when considering that it will pack more technology and more power. We don’t have any word on its engine or specs but we do know that it will us a newly updated 3.0 liter twin-turbocharged I6 and make between 450 and 500 hp. There have been rumors that it will get the same water-injection technology that the M4 GTS uses, which could easily boost power output to around 500 hp. Though, that adds weight and complexity and, in our eyes at least, seems like an unnecessarily complicated way to make that sort of power. Audi currently can make that sort of power from a 2.9 liter twin-turbo V6, so there’s no reason BMW can’t match it on pure engine power alone. There have also been rumors of some sort of electrification, with an electric motor being connected to the gearbox to add e-boost, which would reduce turbo lag and increase efficiency. If BMW does decide to enhance the engine in any way, this seems like a better idea than water-injection. 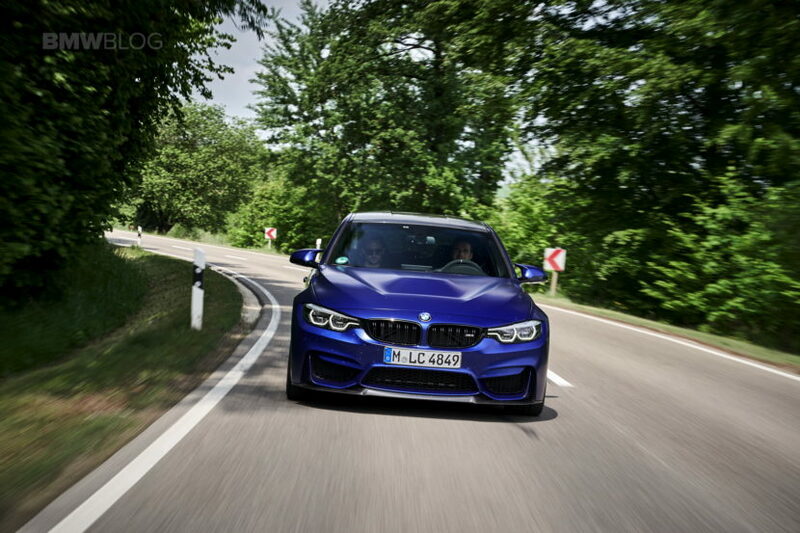 Autocar also claims that BMW is considering giving the next M3 rear-wheel steering, just like the new 5 Series. If that’s the case, it would not only be the only 3 Series to have such tech but the only car in its class as well. To be honest, it doesn’t seem like it makes much sense, as it would also add weight and the BMW M3 is already going to be small-ish and nimble. As far as transmissions go, a six-speed manual will be available as-standard but some sort of automatic will also be an option. We don’t know yet whether or not it will be the brand’s seven-speed dual-clutch unit or an eight-speed ZF traditional automatic. The latter of which is used in the new BMW M5 but that was done more for torque and cost reasons. 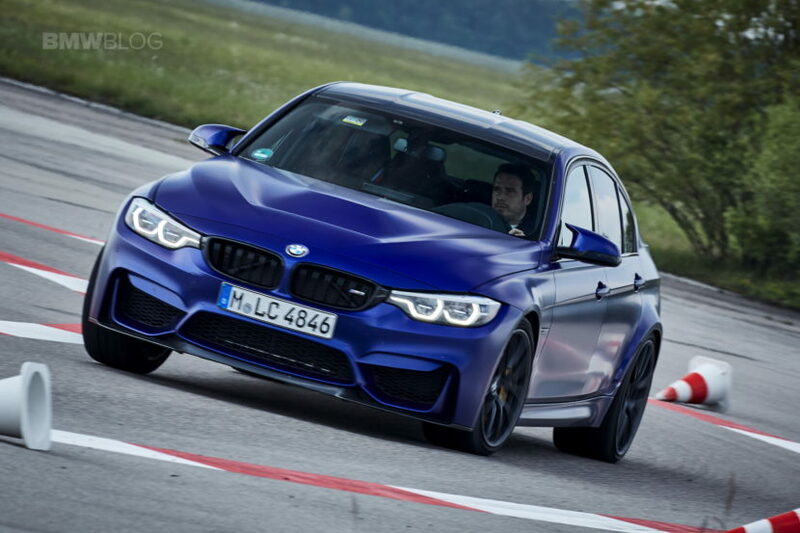 The BMW M3 won’t have as much torque as the M5 and can therefor use a dual-clutch. However, when it comes to cost, the ZF eight-speed is going to be the more economical choice for BMW. While we won’t see the new BMW M3 on the road until 2020, we will likely find out what it’s all about by next year. Stay tuned.